VR Game Critic is a website that does much the same as Metacritic. Unlike Metacritic though, the focus their attention only on VR games. This makes it the go to place for looking at reviews for virtual reality titles you might be interested. 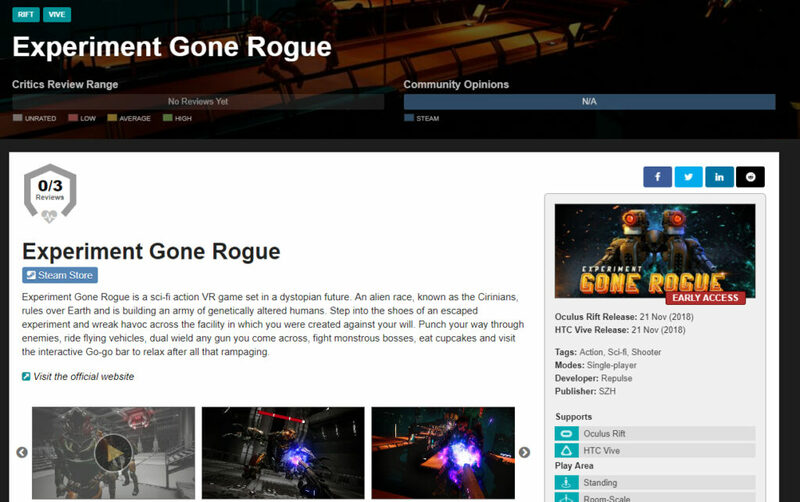 They have made a page for Experiment Gone Rogue and we can’t wait for it to get willed up with what people think about our game. This entry was posted in News by July Vachev. Bookmark the permalink.